Enhance your productivity with our software solutions. All our software comes with first-class support options. We’ll make sure that you get all the help you need to use our products successfully. 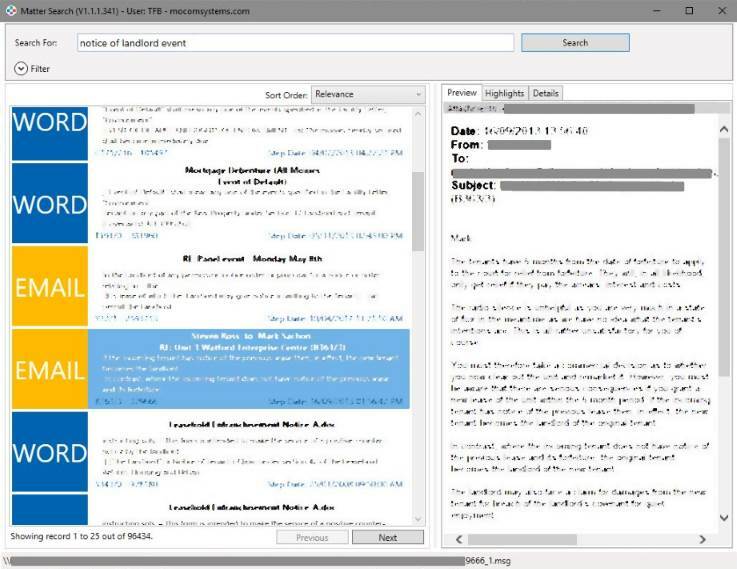 Full control of email content and delivery via PDF source file or text scripts. Comprehensive PDF support including reports created by Crystal Reports and Word. Encryption and password protection of PDF attachments. Full HTML email templating system, with master templates and embedded images. Full retry functionality with comprehensive and clear error messages in the event of a problem. Mocom AutoMail is an email automation system, that uses a source PDF or simple text script to send complex emails with PDF attachments. AutoMail enables rapid deployment of email facilities for existing applications, such as Syspro, Omnis or any application that can produce a PDF report or output a custom text file. AutoMail runs as a Windows service that monitors a specified directory for PDF or script files that provide instructions for the creation and sending of emails. The source application generates a report (e.g. Crystal or SQL reports) which is outputted as a PDF file containing content pages separated by header pages. When the PDF file is dropped in the AutoMail folder, AutoMail will parse the header pages in the file and create emails using the commands in the header pages, with the specific content pages attached. AutoMail also includes a complete email templating system allowing you to generate fully designed HTML emails with attachments by passing only a few custom variables in the report or script file. Embedded email images are also possible using the template system. Matter Search provides lightning-fast search for your existing practice management software (Tikit Partner for Windows, MatterSphere etc). By ingesting all your case matter data and document contents using the latest search technology (ElasticSearch), Matter Search massively enhances any built-in search functionality. Matter Search allows you to search all document contents (Emails including any attachments, Word, PDF, Excel etc) stored in your practice management software along with case matter data. You can use wildcards, patterns, rules etc to search for text or associated metadata and then rapidly preview documents before opening them in your practise management software. 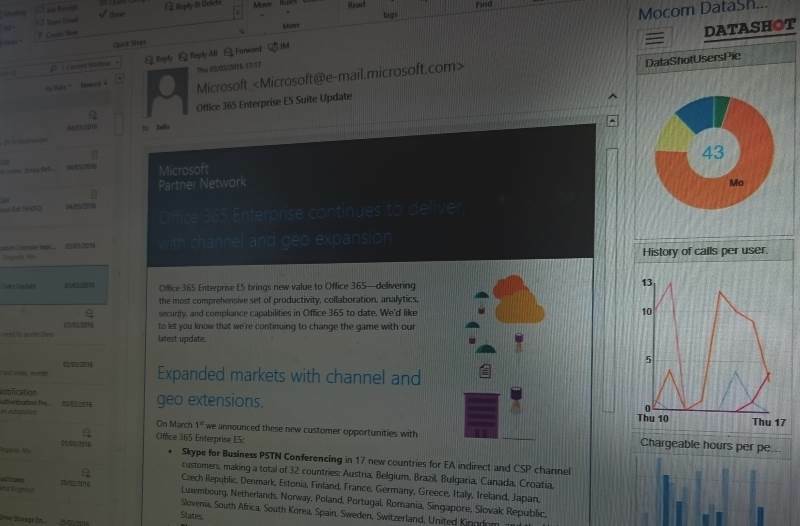 View data directly from inside Outlook or on a webpage. Mocom Datashot brings important data right into Outlook in an easily accessible form. Create your stored procedure (or we can do it for you) to return relevant data from any database, then simply configure Datashot to show the data in as a graph or chart. Assign the graph or chart to a user (or a panel or a group) and the user will instantly see the data in a pane in Outlook. The data displayed in a Datashot graph or chart can be from any Microft SQL server database. For example, if you have an accounts system then your latest financial data can be displayed in Outlook with updates up to every minute. This can be combined with data from your HR database, or practice management software etc. Users can be arranged in groups with panels of data assigned to relevant users.